You are here: Home » Promise Ride Registration is Open! Promise Ride Registration is Open! 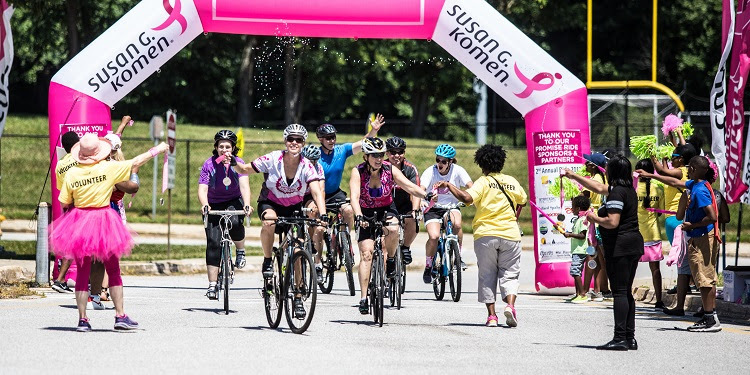 Registration is now open for the third annual Komen Maryland Promise Ride on Saturday, June 23, 2018. The ride will be held at South River High School in Edgewater Maryland. You can register before December 31, 2017 for only $20.18! Jump-start your fundraising with year-end giving! Your donors will want to take advantage of the tax deduction. Tell them how breast cancer has touched your life and how they can take action by supporting your ride. The minimum fundraising requirement for the Race this year will again be $180, which represents the 1 in 8 women in the U.S. who will be diagnosed with breast cancer in her lifetime. All the things you loved about last year’s ride will be back in 2018–the scenic routes, the festive rest stops, and the delicious post-ride picnic.